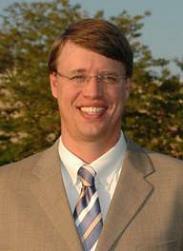 Dr. Paul J. Lee attended the Georgetown University for both undergraduate work and medical school. He also spent two years studying medical ethics at the University of Virginia. After completing his residency at the Albany Medical Center, he attended Tulane Medical Center in New Orleans where he received his Vitreoretinal Fellowship while training with the Dr. Gholam Peyman, who is one of the pioneers of the field. He is board-certified in ophthalmology as well as being a member of the American Academy of Ophthalmology and the Association for Research in Vision and Ophthalmology. He has published numerous articles and textbooks. Among these, Dr. Lee co-edited a textbook in management of endophthalmitis; contributed chapters to the Techniques in Vitreoretinal Surgery; research on the use of Liposome to Visualize Ocular Circulation; was a co-investigator on a Macular Edema study for Pfizer and contributes regularly to Emedicine.com, the online medical textbook. 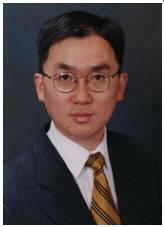 Dr. Lee has a special interest in macular degeneration, diabetic retinopathy, vascular diseases of the retina, retinal detachment, ocular trauma, complications of anterior segment surgery and vitreoretinal interface abnormalities, such as epiretinal membrane and macular hole. 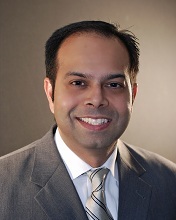 A native of New York City, Dr. Khan is a board-certified ophthalmologist. He graduated from Martin Van Buren High School and went on to State University of New York (SUNY) at Stony Brook for his undergraduate studies. He received his medical degree from New York College of Osteopathic Medicine and completed his ophthalmology residency at Nassau University Medical Center/SUNY at Stony Brook, New York. During his senior year of residency, Dr. Khan served as the chief resident. Dr. Khan has completed a two-year vitreo-retinal surgical fellowship under the guidance of Dr. Gholam Peyman at Tulane University Medical Center in New Orleans, Louisiana. During his fellowship he was co-author of several scientific articles. Recently he published a chapter on Diabetic Retinopathy. The primary focus of his practice is diseases and surgery of the retina, vitreous and macula with an emphasis on diabetic eye disease, macular degeneration and inflammatory disorders. Dr. Khan is a member of the American Society of Retina Specialists, the American Academy of Ophthalmology and the New York State Ophthalmological Society as well as a Fellow of the American College of Surgeons. Dr. Jermak received his medical degree from Tulane University in New Orleans, Louisiana. After medical school he completed his residency training at Tulane University Health Sciences Center. There he was recognized two out of three years for the most outstanding ophthalmic research among residents. Dr. Jermak completed two years of vitreoretinal surgery fellowship. The first year with world-renowned surgeon and researcher Dr. Gholam A. Peyman at Tulane University Health Sciences Center and the second at the University of Texas-Houston due to the devastation of New Orleans from hurricane Katrina. Dr. Jermak is board-certified in ophthalmology as well as being a member of the Association for Research in Vision and Ophthalmology and the American Academy of Ophthalmology. 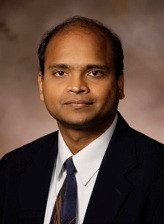 In his research he is interested in small gauge sutureless surgical techniques and ocular drug delivery for ocular infection, diabetic retinopathy, and Age-Related Macular Degeneration. Results of his research have been published in Survey of Ophthalmology, Ophthalmic Surgery, Lasers & Imaging. His research has been presented at the prestigious Macula Society and at Seri-ARVO in Singapore. Dr. Jermak has had the opportunity to participate in surgical missions in rural Mexico and Panama to provide vision-restoring surgery in underserved areas. He plans to continue this practice as a member of the Eyecare Volunteer Registry through the American Academy of Ophthalmology. Dr. Jermak has special interest in macular degeneration, diabetic retinopathy, vascular diseases of the retina, retinal detachment, ocular trauma, complications of anterior segment surgery and vitreoretinal interface abnormalities, such as epiretinal membrane and macular hole.